David J. Dworkin - Dworkin, Chambers, Williams, York, Benson & Evans, P.C. 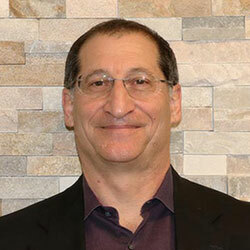 David J. Dworkin is a founding member of Dworkin, Chambers, Williams, York, Benson & Evans P.C. He attended the University of Colorado School of Law where he served as Law School Vice President. After graduating in 1985 he served as a judicial clerk to the Honorable William F. Dressel. Since 1986, Mr. Dworkin primarily represents insurance companies, third party adjusting agencies, and self-insured employers in workers' compensation and insurance defense matters. He practices statewide and has argued cases before the Colorado Supreme Court and Colorado Court of Appeals. Mr. Dworkin lectures on issues of workers’ compensation to employer groups and to attorneys at continuing legal education courses. Mr. Dworkin has the highest possible peer review rating, AV, in Martindale Hubble, was selected as a "Super Lawyer", and was selected as a 5280 Magazine "Top Lawyer". Mr. Dworkin enjoys spending time with his family and he enjoys outdoor activities including biking, camping, and skiing. In 2014 he rode his bicycle over 4,400 miles across America from Bar Harbor, Maine to Anacortes, Washington. University of Colorado School of Law, Boulder, Colorado - J.D. Colorado State University, Ft. Collins - B.S. Presenter: Workers' Compensation Update 1994: "Surprising Ways Employers Can Be Liable For Injuries", Council on Education in Management seminar May 27, 1994. Presenter: Workers' Compensation Update 1994: "Workers' Compensation Claims: Precautions To Take To Avoid Being Defrauded", Council on Education in Management seminar November 18, 1994. Co-authored The Merchants of Upsville vs. Shelly Shout, (The Girl Who Cried Wolf), an elementary school educational video and teacher's guide poduced by the Denver Bar Assoc.